If you are looking for challenges as a reporter, try P. Chidambaram. The man who currently serves his third stint as India’s Finance Minister was clearly not impressed when a young female reporter walked into his hotel suite in Berlin in November 2004. He barely looked up from his desk and ignored me for 10 minutes before joining me in the sofa group. I sweated my way through questions about India’s growth and the effect of high oil prices on its economy. He answered my questions (see the interview here), but his body language was clear: This man had no patience for banalities. The meeting with Mr. Chidambaram, the accomplished lawyer and Harvard MBA, was one of my first encounters with a member of India’s highly educated elite. As I made more Indian acquaintances, I was impressed by their articulateness, versatility and intellectual curiosity. At a garden party in Berlin, I met the famous UN official Shashi Tharoor who pursued a successful literary career beside his peacekeeping work. I had several lunches with the entrepreneur Subodh Sapra for no other reason than that he wanted to discuss how young Germans viewed the world. Sapra was President of the polyester sector of Reliance Industries. The Indian conglomerate bought a polyester factory in the East German town of Guben and Sapra was featured in my story about Chinese and Indian investors in Germany. By the time I had my second interview with Mr. Chidambaram, I was more at ease with the demanding minister. All these contacts were extremely helpful when I traveled to India in 2005 to write a series of articles, from the potential for investment in the country’s infrastructure to the movie industry in Bollywood. It was the year when U.S. President George W. Bush tried to establish a strategic partnership with India and opened the door for exports of civilian nuclear technology to India (see my news article about that). 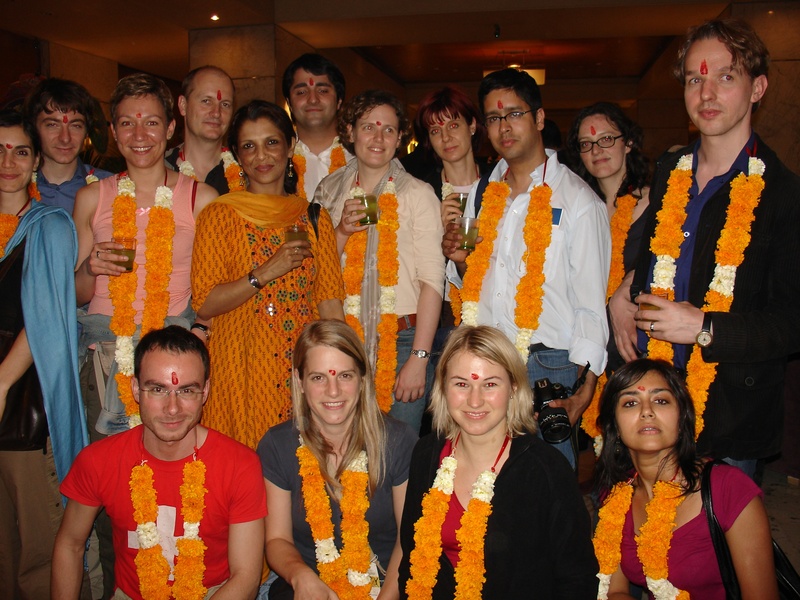 In 2006, the timing for our first journalists.network trip to India (with Sven Hansen of die tageszeitung and Haznain Kazim who now works for Der Spiegel) was perfect: The India hype had reached Germany as Prime Minister Manmohan Singh prepared for his first state visit. The German business community hoped that India would become their next China (see my curtainraiser for Singh’s visit). My Reliance contacts arranged a trip with a private jet from Mumbai to the company’s brand new refinery in Gujarat (see my article about Reliance Petroleum’s IPO). Another highlight of the trip was an interview with Infosys founder Nandan Nilekani in Bangalore (my colleague Astrid Maier wrote this). 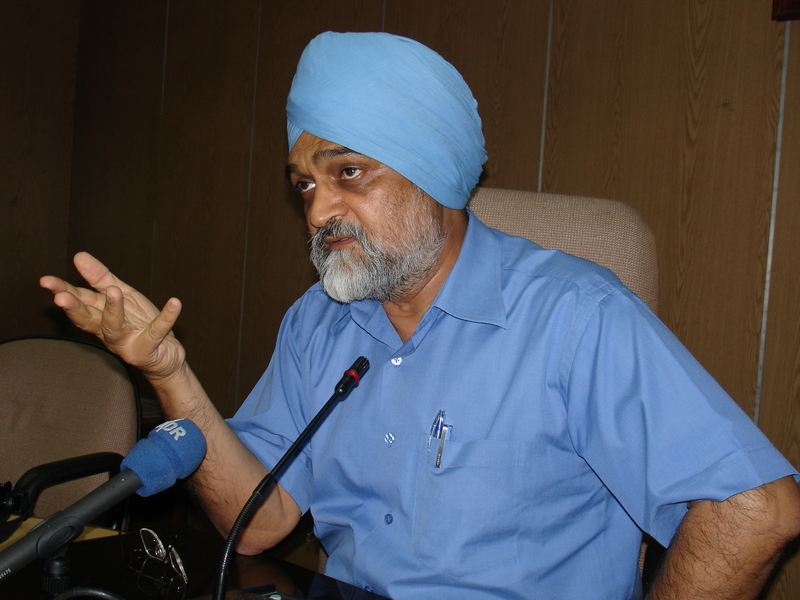 Amit Dasgupta, then the Deputy Chief of Mission at the Indian Embassy in Berlin, helped arrange interviews with cabinet members, all the way up to India’s top economic planner Montek Singh Ahluwalia. When I handed in my requests, Amit looked at my list and said: “Why did you not request Finance Minister Chidambaram? We have to include him.” I was worried: Most of our reporters had no background in business or finance and I did not dare to imagine how the proud Tamil politician would react to our group of generalists. In April 2006, our group sat in a conference room in the Ministry of Finance in Delhi, facing Mr. Chidambaram who was wearing a white robe. It only took him a few minutes to grow annoyed with the fact that nobody in the group had a clue about India’s budgetary issues. But one of my colleagues was not to be intimidated. “Sir, would you take a group picture with us,” he asked. Mr. Chidambaram informed us coldly that photos were not allowed in the building. “Maybe we can step outside,” my colleague suggested. Suffice it to say that we stepped outside very shortly thereafter – without the minister. This entry was posted in The Five Asia Years and tagged FT Deutschland, FTD, India, journalists.network, Montek Singh Ahulwalia, Nandan Nilekani, P. Chidambaram, Sabine Muscat. Bookmark the permalink.